Kuumba was founded during a time when Black students on Harvard’s campus, and in the Boston area, were still reeling from the assassination of Dr. King, as well as heightened racial tensions on campus and around the country. Amidst all this turmoil, a group of Black students, in 1970, decided to do something revolutionary; they decided to carve out a space for themselves and engage in the radical act of celebrating Blackness. And over 45 years after they made that consequential decision, Kuumba remains committed to being a safe space for black students on Harvard’s campus, and a cultural mecca for all those who desire to celebrate Black creativity and spirituality in all its forms. Kuumba is a Swahili word that means “to create.” We take that to mean doing what we can with what we have to leave a space better than we found it. This mission permeates and motivates our performances, our community work, and our unabashed celebration of Black art. We firmly believe that Black art sustains and directs our culture; it reminds us of our past, makes us mindful of the present, and gives us hope and guidance for the future. And we are committed—now more than ever before—to celebrating and magnifying it wherever we go. As an organization, Kuumba is many things: a safe space, a non-audition choir, an artistic haven, a creative community, a true family. But to fully understand exactly what Kuumba is—and can be for you—you must experience it first-hand. So, whether you are a prospective member, an alumnus/ae, or an avid supporter, we invite you to come to any and all of the events we publicize on this website and our Facebook page, including our weekly rehearsals during the academic year. We truly hope that you will join us as we strive to leave spaces better than we found them, and honor our history through artistic expression, community involvement, and a continued commitment to fostering an atmosphere of creativity and social activism on Harvard’s campus. 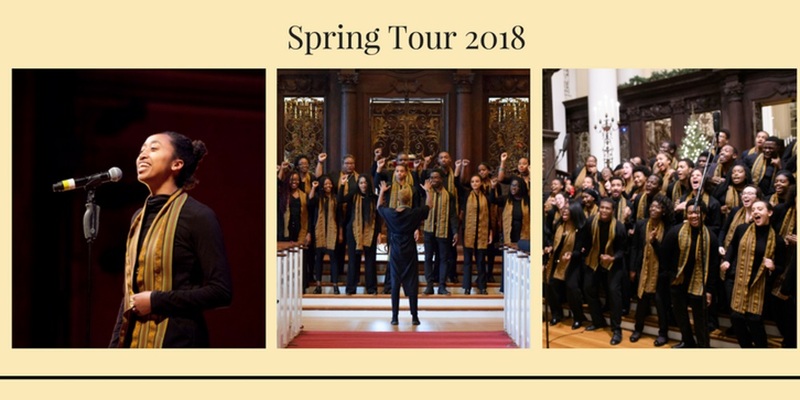 For more information about Kuumba and their spring tour, click here.